Judging from the UN’s comments on its aid agencies’ conduct in Syria, business will go on as usual –too bad if it throws a lifeline to the Syrian regime. Two UN spokespersons, one for Secretary General Ban Ki-Moon and the other for the UN’s Office for the Coordination of Humanitarian Affairs, were put in the unenviable position of having to respond to articles in The Guardian, to which I contributed and wrote an accompanying comment, about tens of millions of US dollars’ worth of UN procurement contracts awarded to regime cronies. By following the money, we found that UN aid agencies’ local purchases of humanitarian goods and services directly benefitted scores of companies owned by or intimately linked to senior regime incumbents responsible for indescribable brutality. UN agencies also embraced Syrian ‘NGOs’ run by the likes of Rami Makhlouf and others linked to unsavory regime militias, as “implementing partners”. What Syria is concerned, this is how far we get when it comes to UN’s self-proclaimed humanitarian principles of “humanity, neutrality, impartiality, and independence.” Meanwhile, the UN-led aid effort continues to dramatically fall short in meeting Syrians’ burgeoning needs, especially when they happen to reside in rebel-held areas. Speaking on behalf of the UN’s top brass, the two spokespersons draw on an ingenious register of excuses in their joint attempt to explain away the UN’s unacceptable proximity to and submission to the Syrian regime. Most importantly, they argue that laymen like us cannot appreciate the complexity of the situation in which UN agencies are forced to operate. Accordingly, they explain that UN agencies have to maneuver in an extreme political situation and “framework” not of their own making, and that therefore their options are limited. Thus, the Syrian government imposes its preferred ‘NGO’ partners on UN agencies while the Syrian business sector counts only few suppliers for the UN to do its job. But it is here that the UN fails to appreciate the nuance. The Syrian regime drew up a list of some 120 local NGOs accredited to work with the UN – but UN agencies can still choose from this list, or indeed decide that none of them qualify and distribute aid themselves. Some of these local charities are largely apolitical and do a fair job in providing humanitarian aid. From this perspective, there is no reason to partner with an ‘NGO’ like the Bustan Association that is run by President Bashar al-Assad’s notorious cousin let alone one that finances the regime’s death squads. Neither would Assad’s wife have to be elevated to the status of benign benefactor by teaming up with her “Syria Trust” charity, not to speak of several other NGOs that publicly glorify the regime or present themselves as patrons of “the martyrs of the Syrian Arab army”. When it comes to business contracts, the UN’s logic is as flawed. By virtue of its control over the state, the regime enjoys a monopoly in some sectors, such as mobile telecommunications, also owned by Makhlouf. Here it will indeed be hard to find less unsavory suppliers. But for the majority of contracts handed out by the UN to regime incumbents, there were readily available alternative suppliers: soap, nappies, and medical kits can be easily imported. Neither is there a need to ask regime cronies to arrange such imports. And yet this is what happened. The Guardian reports show that many beneficiaries of the UN’s procurement policies were blacklisted and subjected to sanctions by the European Union and the US. The UN responded that, legally, it is not bound to these sanctions as it is committed to a list of designated persons and entities sanctioned by the UN Security Council, which only designates ‘terrorist’ jihadis from the opposition. The argument misses the point entirely just as it puts the spotlight on the UN’s key donors’ complicity. The individuals and entities sanctioned by the EU and the US have been singled out because of their direct contribution to the Syrian regime’s brutality and atrocities. Doing business with them regardless raises issues that are foremost ethical in nature, not necessarily legal. The public designation of these same individuals means that the UN cannot pretend it did not know. Yet European donors and the US government also need to explain why they uncritically poured billions of US dollars into UN aid agencies that, in turn, transferred a significant part of these resources to officially blacklisted entities. What the UN’s spokespersons are concerned, we should be pleased about the UN agencies’ unrivalled “transparency” in doing their business; without it we would not have been able to present our findings on UN procurement as we did. Indeed, some of the findings were based on UN procurement documents that can be found online, if you know where to look. 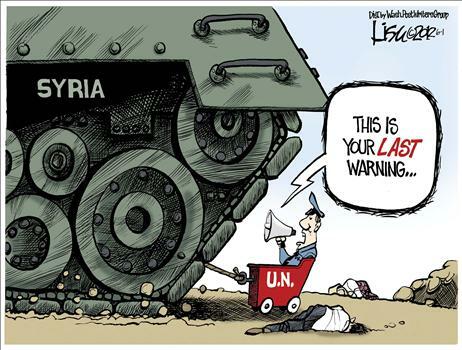 But to celebrate this as proof of the UN’s merits in Syria or beyond is absurd. Relevant UN procurement data are buried in bulky reports counting hundreds of pages. For many entries the identity of the supplying companies are withheld “for security reasons”, even when the contract concerned the supply of rather non-menacing items in the category of “bath and body”. For unknown reasons the World Health Organisation and the World Food Program –two of the largest spenders in Syria—are not included in the lists. Neither do the UN documents provide names of rewarded companies’ ownership; it takes an effort to figure that out. All the same, even if the UN had been fully transparent about its business deals in Syria, this would not put it off the hook. This is especially so when UN claims about being totally transparent come with categorical denials of any wrongdoing and blanket dismissals of detailed and documented research, as in the response by Stephen O’Brien, UN under-secretary for humanitarian affairs. The UN has mispresented my and the Guardian’s criticisms as a call for disengaging with the regime. For O’Brien we unrealistically imply that the UN should stop working with the Syrian government altogether; that surely would be a reckless suggestion given the many lives that rely on UN aid. This, however, was never my argument, and I wish O’Brien and the UN spokespersons had responded to the argument I did make. Providing humanitarian aid impartially requires a continuous balancing act, one that currently has given way to a UN position vis-à-vis the regime that clearly is submissive; by allowing it to redact needs assessment reports, by understating the number of regime-besieged areas and their residents, by employing relatives of regime officials, by relying on its laboratories to detect the outbreak of contagious diseases like Polio, and by handing out contracts to regime incumbents and their business cronies. For the UN to conduct a balancing act for the sake of more effective provision of aid in what no doubt are daunting conditions, first some balance needs to be restored even when that is still likely to fall short of the full humanitarian “impartiality” that O’Brien claims the UN agencies aim for – and achieve– in Syria. Establishing an investigatory panel to scrutinize the UN’s conduct and performance in Syria is the very least that the UN could do in light of the growing list of reported blunders, failings and proximity to the regime involving its humanitarian agencies. The UN’s prime donors, including European countries and the US, should be demanding such an inquiry in order to encourage full and genuine transparency and accountability, both for the sake of Syrians deprived from aid and of their own tax-paying citizens. It would be naive to expect such an inquiry to immediately change the UN agencies. Yet with an investigation ongoing, UN negotiators in Damascus would be in a better position to resist the Syrian regime’s unacceptable demands about how the aid effort is to be conducted. Scrutiny will help to restore the UN’s leverage vis-à-vis the regime, which it has failed to use in its efforts to reach out to millions of Syrians in need. 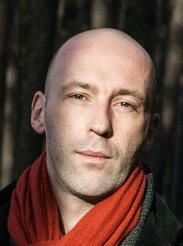 * Reinoud Leenders is Reader in International Politics and Middle East Studies at King’s College London, Department of War Studies. 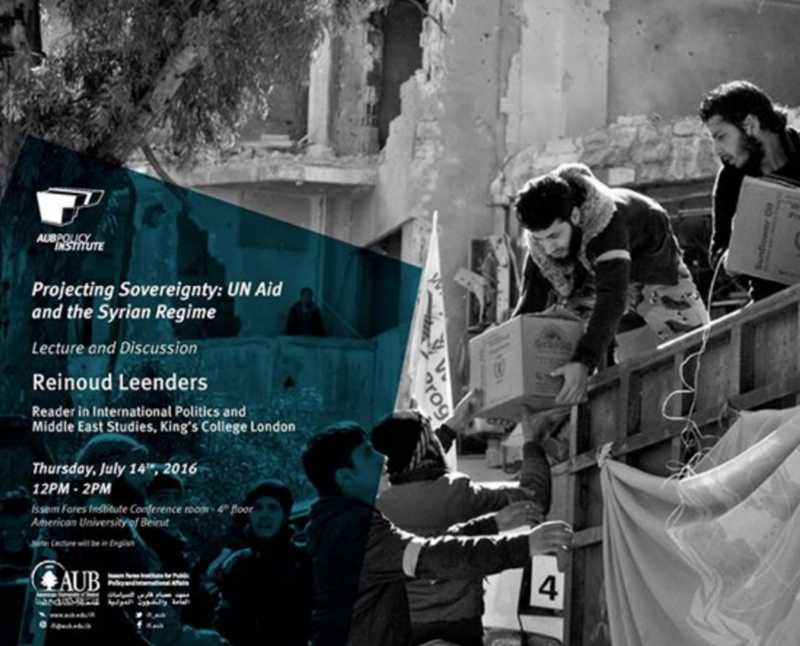 A full webcast of a recent talk by Leenders on UN aid and the Syrian regime, held at the American University of Beirut’s Issam Fares Institute for Public Policy and International Affairs, can be found here. Lets take a look at this in another way. There is a country at war, and aid is needed because the people starving. There is an organization capable of supplying the population with food and a little bit of shelter, but since the rulers of the country don’t let them in, they have to rely on organizations inside it to give out the material. Ask yourself this question. Isn’t the biggest, most powerful group on the ground the one(s) that can provide aide to the vast majority of the people? Imagine this scenario. There is a troubled region. An airplane drops aide somewhere in that region. Who’s going to take that drop, the hungry population or the man with the gun? We all know the answer to that question. Sure in this case some of the aid especially by the Butan foundation goes to the militias and the SAA most probably. But it’s these militias who are in control of the majority of the refugees in Syria. If then UN gives aid to another company the militia is just going to take that aid from them, they are capable of that, and they’ll make money of it along with control. UN doesn’t really have a choice. We can set up an investigation committee or whatever, and its going to find out that the Butan Foundation is doing bad things with that aid and we’re not going to give them anything any more. Okay. Instead we’re going to give that aid to another company. The other company goes into a town with that aid and the NDF have a checkpoint there ant they’re going to take it. I’m sure it has happened. As mentioned in the article there are more than a 100 companies UN gives aid to. I’m sure if it could bypass Makhlouf’s company it would. It can’t. Well yes. If it wanted to. Except that the most powerful group in Syria is not the biggest group, and doesn’t want to provide any aid whatsoever to the biggest group – which is the suffering populace. Too easy, and inexcusable, for the UN to just wring hands and shrug, offering pathetic lies in defence of its actions as the author of this article has shown. Well done Leenders to do his own legwork and then write in English in the western media what has been evident in video clips on opposition feeds for years. They diverge on the subject of the minorities where Juan Cole implicitly insists on continued rule by minorities with a smattering of its allies. Could you, pleas, brief us about the levels of corruption and its proceedings within the organization itself? Well, that’s a complicated question, that would take weeks to research about. I remember reading articles and perhaps even some papers where there is mentioned that the Butan foundation (which is set up by the very rich Rami Makhlouf) is funding different paramilitary (NDF) militias mostly in Lattakia. To take a look at how aid is being corrupted by Rami’s company for one, I’m sure it’s not public info, for second they really don’t want anyone to know. Sometimes in pictures you can see soldiers (on both sides) sitting in UN tent that’s basically it. What I wrote above is only my opinion, I don’t have any sources or proof. I just think that if a company gets aid and is tasked to provide food, shelter, equipment to refugees and some militias, surely it will provide aid to them both. No matter if it’s from the UN. They are in a state of total war. There is always been a trade-off between putting money in the pockets of leaders and aiding people in need. It goes for all conflicts. The question becomes if the help which reaches those in need is worth the price which have to be paid to warlords, etc. Whether it’s overpaid truck drivers or “required” armed escorts and so forth there is always a channel into the wrong pockets. … and in both cases you need my experts!